The Witchblade's power dates back to the beginning of time. But there have been other powers through the centuries, and some of them have merely slumbered, awaiting an awakening. 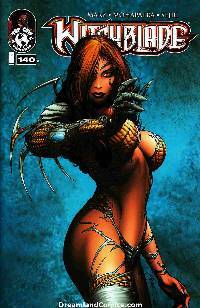 Now an ancient goddess arises in New York City, and only Witchblade bearer Sara Pezzini stands against her. As the pieces move into place for Artifacts, is Sara ready to face a foe that was old when the world was young?